Grafting caudalized neural stem cells into the site of spinal cord injury (SCI) in rats promotes robust growth of transected axons and regeneration beyond the site of injury, according to new research published online March 28 in Nature Medicine. Importantly, the engrafted cells establish functional synapses with corticospinal axons and promote motor recovery, suggesting a new approach to SCI therapeutics. A second study, published in the April 14 Nature, shows that the astrocytic scar, long thought to inhibit regeneration after SCI, instead is necessary for repair, a finding that is likely to reorder priorities for development of SCI repair in humans. In the study, Tuszynski, along with first author Ken Kadoya and colleagues, induced spinal cord lesions that were either complete (at T3) or partial (at C4). The partial lesion alleviated the need for addition of growth factors to the NPC suspension prior to grafting, thereby helping isolate the impact of the graft on CST regeneration without confounding effects of growth factors. In the T3 lesion, more than 1500 corticospinal axons – 63% of the total axons rostral to the graft – grew at least 0.5 mm into the graft, while a subset extended up to 2.5-3.0 mm. The CST axons established direct contact with grafted cells and formed synapses visible by electron microscopy. In the partial lesion model, almost 10% of axons extended beyond the caudal graft interface into gray matter. The regenerating corticospinal axons formed functional synapses on a subset of grafted neurons, since optogenetic stimulation of corticospinal axons, which were pre-labeled with rhodopsin-2 and GFP using viral vector transduction into motor cortex, generated excitatory post-synaptic currents in graft neurons. Grafting embryonic tissue from the hindbrain or telencephalon did not promote regrowth of severed CST axons, indicating that spinal cord-specific factors were critical for successful regrowth. That possibility found support when the team trained rats in a skilled forelimb reaching task before the lesion, and then tested their ability to perform it after grafting. Their performance was significantly better than that of lesioned, non-grafted animals beginning at about 5 to 8 weeks after grafting, consistent with the timing of synaptic formation. Tuszynski cautioned that the mechanism underlying the improvement is still unclear. While relay of motor commands from transected CST neurons to spinal motor neuron by engrafted neurons, either directly or through multiple other neurons, is a distinct possibility, it is also possible that the better performance could be due to a general increase in spinal circuit excitability. This could be induced by the new graft circuitry, which could trigger more activity in non-CST motor systems, such as reticulospinal and raphespinal tracts. This may have implications for translation of these findings, Tuszynski said, since unlike rats, humans rely almost entirely on the corticospinal tract for voluntary motor control (Lemon, RN and Griffiths, J, 2005) “The neural circuitry that we are repairing in the rat may or may not be sufficient to elicit a beneficial functional effect in humans,” he said. Eventually, he decided to directly and formally test the effects of LOF mutations, along with co-first authors Mark Anderson and Josh Burda and colleagues. The team prevented scar formation by either selectively killing scar-forming astrocytes or knocking out STAT3 signaling, a critical pathway in scar formation. Neither treatment promoted axonal regrowth in the descending CST; instead, both significantly increased axonal dieback. Chronic astrocytic scars, whose persistence has been thought to prevent repair over the longer term, were ablated with diphtheria toxin, but again regrowth was not promoted. 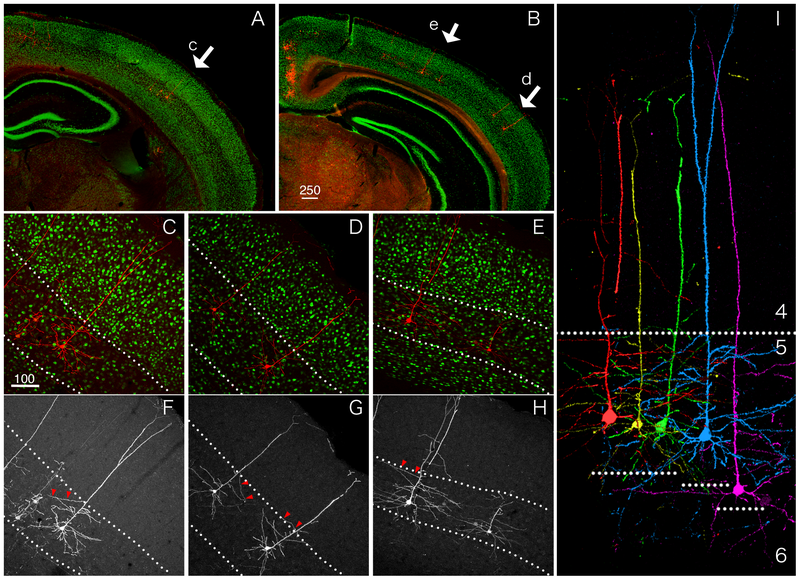 The limited successful axonal regrowth the field has achieved has been accomplished with growth factors (see e.g. Alto, LT et al., 2009), so Sofroniew and colleagues delivered BDNF and NT3 via synthetic hydrogen depots, and observed the expected growth of axons through and beyond the astrocytic scar. But preventing formation of the scar prevented or significantly reduced regrowth, “demonstrating that astrocytic scar formation aids, rather than inhibits, axonal regeneration”, they concluded. Sofroniew believes that the main function of the scar-forming astrocytes is to “set up a functional barrier to isolate the damaged tissue from salvageable, healthy tissue,” demarcating the area within for macrophage clean-up while preserving the adjacent tissue. Subsequent failure of axons to regrow through the lesion is due to lack of growth factors within the lesion, not any interference from astrocytes, he said. “I think there has been an undue emphasis on inhibitors of axon growth as the main culprit,” and a consequent emphasis on finding the molecular basis of inhibition in order to develop drugs to inactivate them. “This has set the field back,” Sofroniew said.- Richard Robinson. Kadoya K, Lu P, Nguyen K, Lee-Kubli C, Kumamaru H, Yao L, Knackert J, Poplawski G, Dulin JN, Strobl H, Takashima Y, Biane J, Conner J, Zhang SC, Tuszynski MH. Spinal cord reconstitution with homologous neural grafts enables robust corticospinal regeneration. Nat Med. 2016 Mar 28. [Pubmed]. Anderson MA, Burda JE, Ren Y, Ao Y, O’Shea TM, Kawaguchi R, Coppola G, Khakh BS, Deming TJ, Sofroniew MV. Astrocyte scar formation aids central nervous system axon regeneration. Nature. 2016 Apr 14;532(7598):195-200. [Pubmed].